Maine is often referred to as the Pine Tree State and for anyone who has ever enjoyed a delicious outdoor breakfast among the pines, this gift is sure to bring back fond memories. 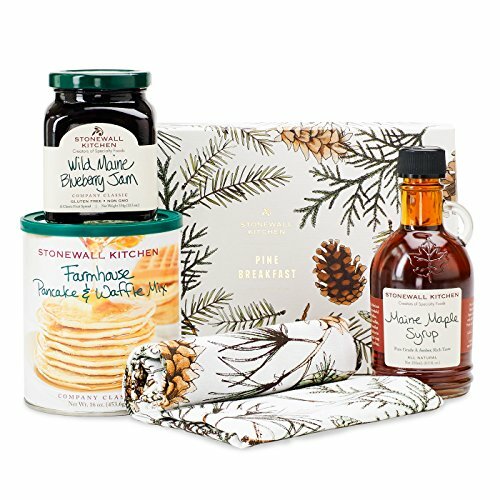 Together you'll find our Wild Maine Blueberry Jam, Maine Maple Syrup, a small Farmhouse Pancake & Waffle Mix and a colorful scattered pine tea towel. Packaged in our exclusive pine breakfast box, this gift is sure to be a favorite.